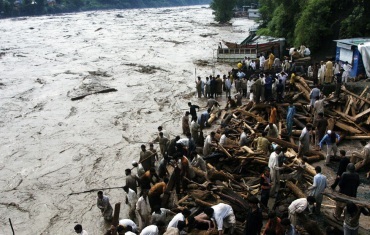 A humanitarian catastrophe of terrifying proportions is unfolding in Pakistan, with a fifth of the country under water, and millions of people homeless and desperately needing assistance. Some relief efforts are underway, but the international response to the mega-disaster has been irresponsibly slow and weak -- the UN has urgently appealed for $460 million of vital aid, but just 60% has been committed. Relief workers warn that without an immediate increase in aid the death toll could sky-rocket.